Dentures are a bright innovation in the process of dentistry. It is a savior for the people who have no teeth. 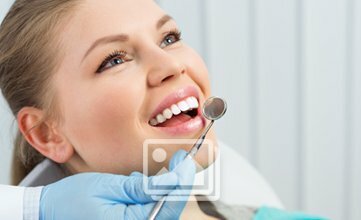 This treatment is a great dental treatment. Among dentures, there are various dentures available. One of the favorable dentures is the Cast Partial Dentures. This is favorable due to its various functions and quality. One can be assured about best comfort and stability with it. The biggest reason behind its favorability is the use of the metals. 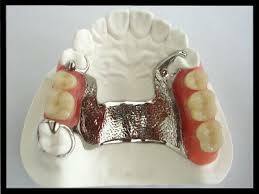 Te materials which are used in it are cast metal framework, acrylic tissue base and teeth. 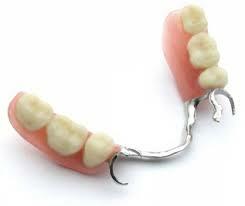 Cast partial dentures are so called because of the underlying framework which is made with metal. It has costumed fabrics. The denture teeth and gum colored plastic are added to this framework. After this process, it gets a complete framework appliance. There are various features of this denture. There are various advantages of this material. These benefits make it, even more, favorable. Ease of adjustability: One of the biggest benefits of cast partial dentures is the convenience of adjustability. It is very easy to use and adjust in the mouth. It fits perfectly in the mouth and gives the mouth a perfect shape and look. Another important quality of this denture is the functional success. It is very developed functions. It does not give a chance to the user to be uncomfortable in using it. It comes with utter flexibility and gives the user a natural feeling while eating or speaking. The most vital factor of this denture is that it supports the teeth and prevents natural tooth shifts. Often in such cases, natural tooth gets shifted. However with this partial denture, all these problems can be avoided. You can get a best oral care with this denture. You do not have to be worried about any kind of uneasy feelings.